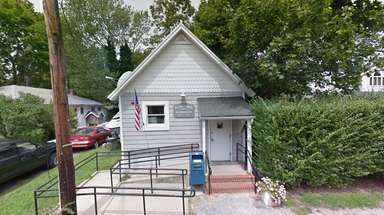 On Wednesday, June 21, 2017, to mark the first day of summer, Newsday is traveling across Nassau and Suffolk to chronicle everyone from bagel makers to bail bondsmen as part of our Day in the Life of Long Island project. We’d like you to participate. Please share your photos using the hashtag #DayInTheLifeLI on Instagram, Facebook and Twitter. 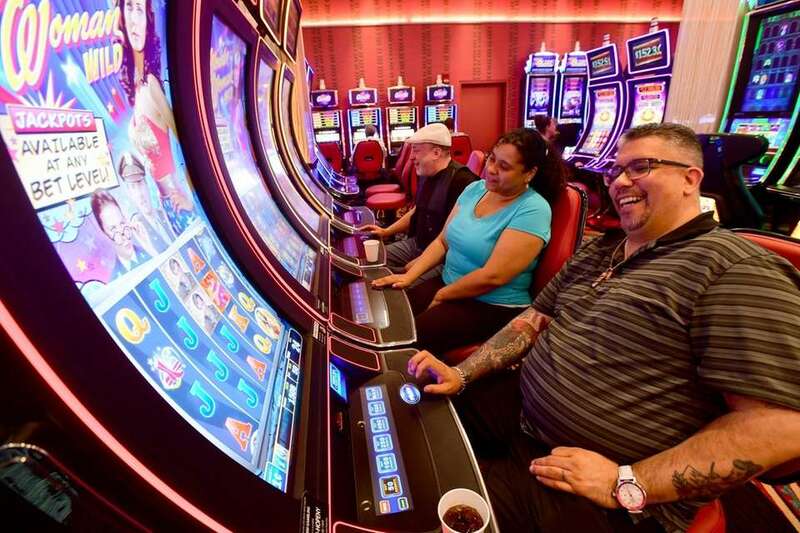 Jason Naurek, left, and Sandra Ithier, both of Manorville, along with Joe Como, of Medford, play the slots at Jake's 58 Hotel and Casino in Islandia, Wednesday, June 21, 2017. 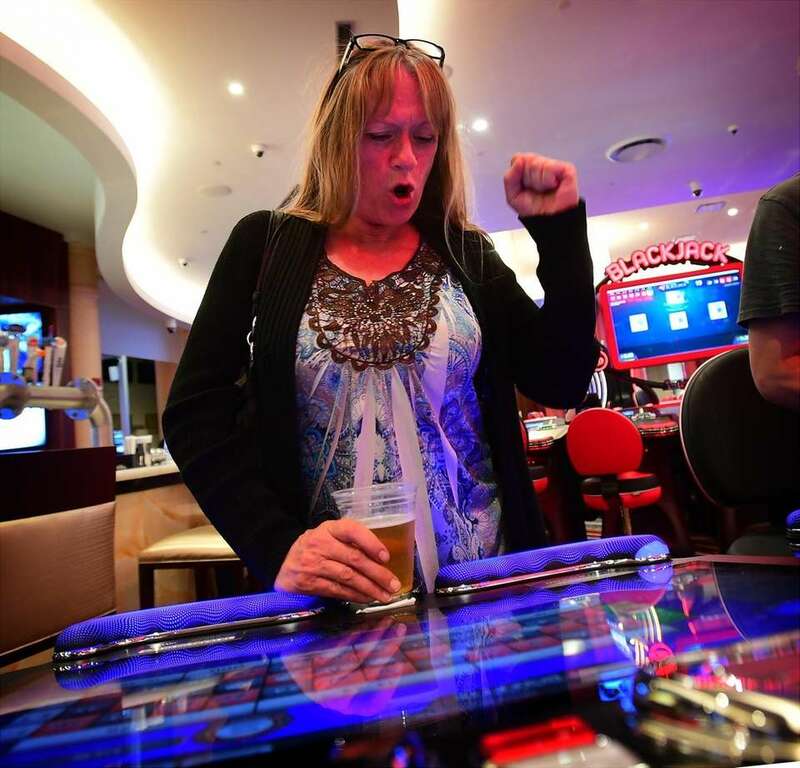 Cindy Caldarola of Patchogue celebrates a win while playing video roulette at Jake's 58 Hotel and Casino in Islandia, on Wednesday, June 21, 2017. 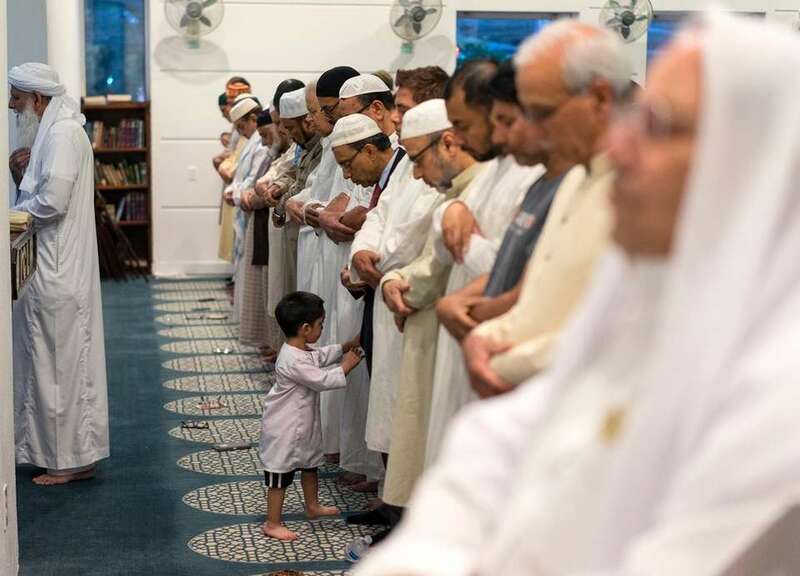 Men pray in an overflow area at the Islamic Center of Long Island in Westbury, during the holy month of Ramadan, on Wednesday, June 21, 2017. 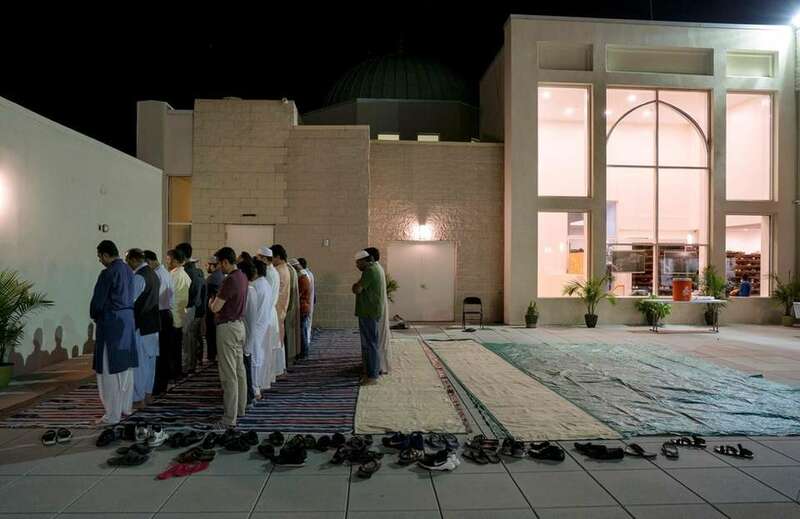 People pray just after breaking fast at the Islamic Center of Long Island prayer during the holy month of Ramadan, on Wednesday, June 21, 2017. 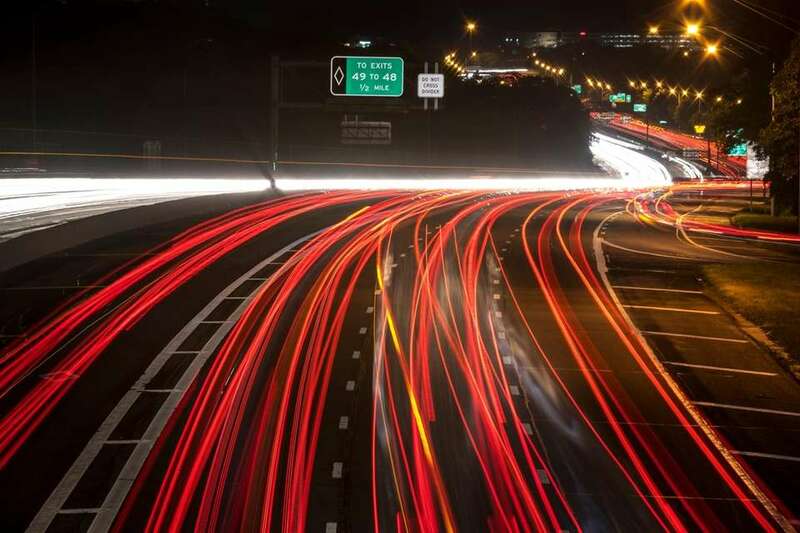 Evening traffic at Exit 50 of the Long Island Expressway on Wednesday, June 21, 2017. Long Island Ducks mascot Quacker Jack cheers on the team as they host the Somerset Patriots at Bethpage Ballpark in Central Islip on Wednesday, June 21, 2017. As part of the Long Island Ducks Dream Team program, members of the Babylon Little League gather on the mound with pitcher Alfredo Simon, far right, to sing the National Anthem prior to the game, on Wednesday, June 21, 2017. 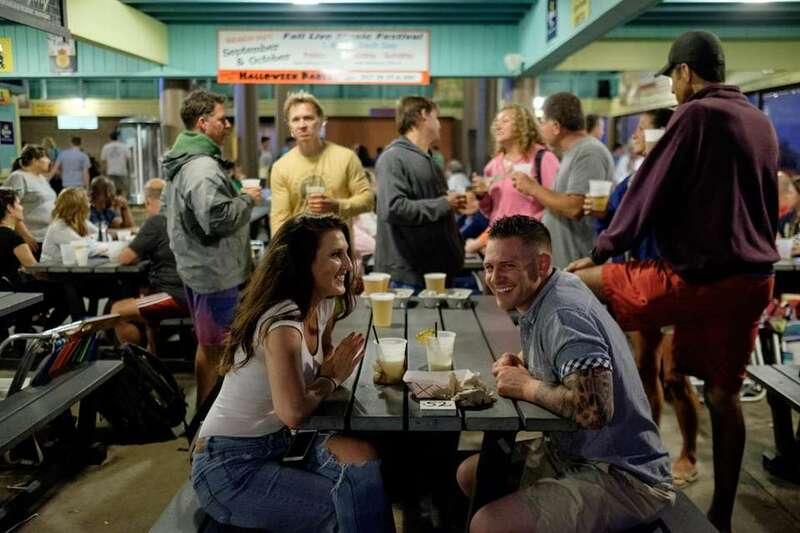 Jaclyn Rini, 24, and Mike Moran, 27, of Wantagh, enjoy the night at the Beach Hut at Cedar Beach in Babylon, June 21, 2017. 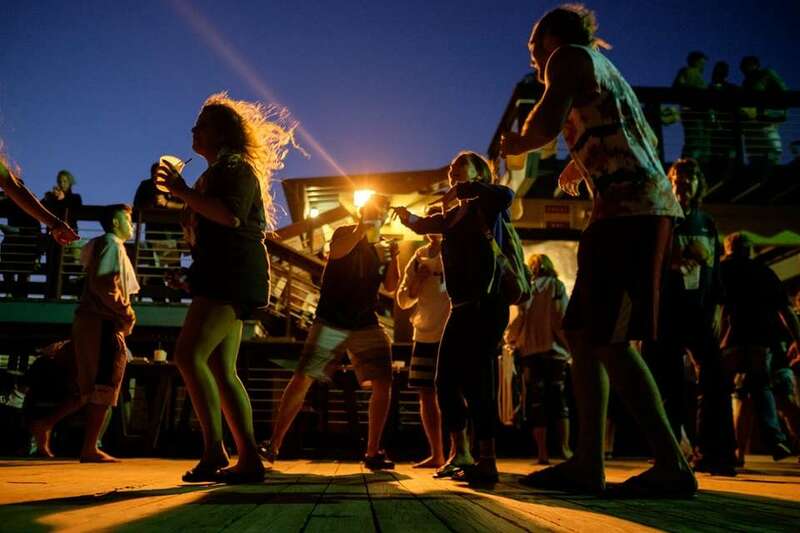 Arthur Griffin, right, of Lindenhurst, dances into the night with friends while the band Justice performs at the Beach Hut at Cedar Beach in Babylon, on Wednesday, June 21, 2017. Popcorn vendor Matthew Scagluso, of Patchogue, makes the rounds at Bethpage Ballpark in Central Islip during the Long Island Ducks game, on Wednesday, June 21, 2017. 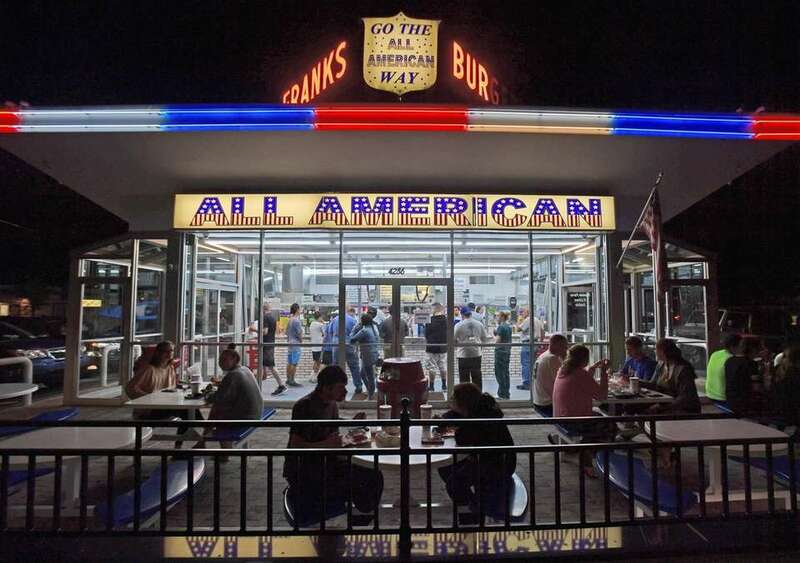 People dine under the iconic sign at All American Hamburger Drive-In in Massapequa, on Wednesday, June 21, 2017. 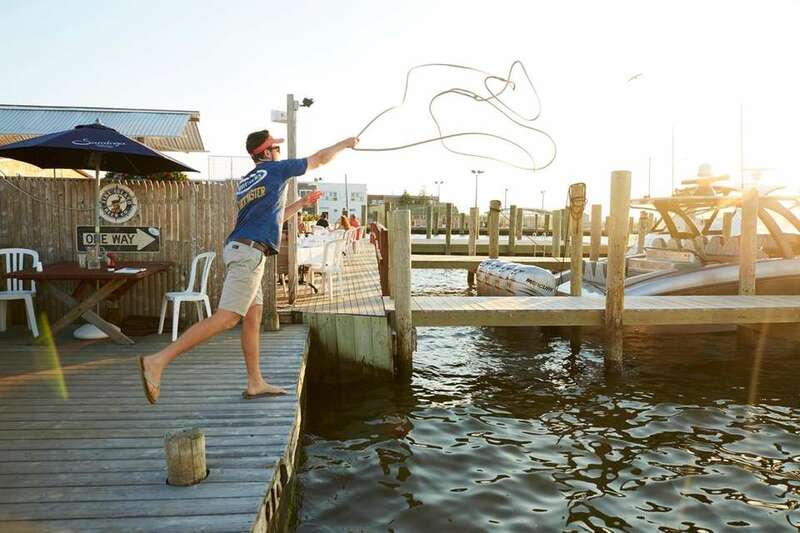 Peter Jensen, the dock master from Housers, ties a lasso at Ocean Beach on Fire Island, on Wednesday, June 21, 2017. Seniors of Kings Park High School pose for a picture in Northport before their prom, on Wednesday, June 21, 2017. 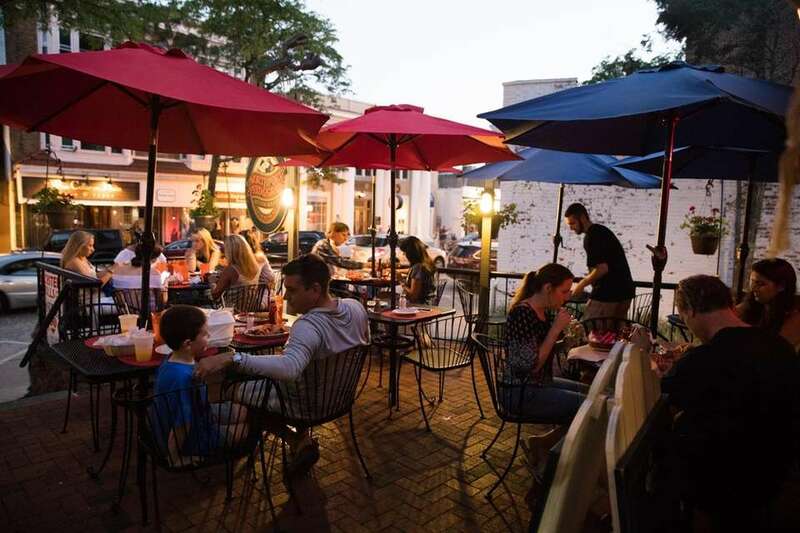 Customers enjoy dinner at Feed and Grain in Northport on Wednesday, June 21, 2017. 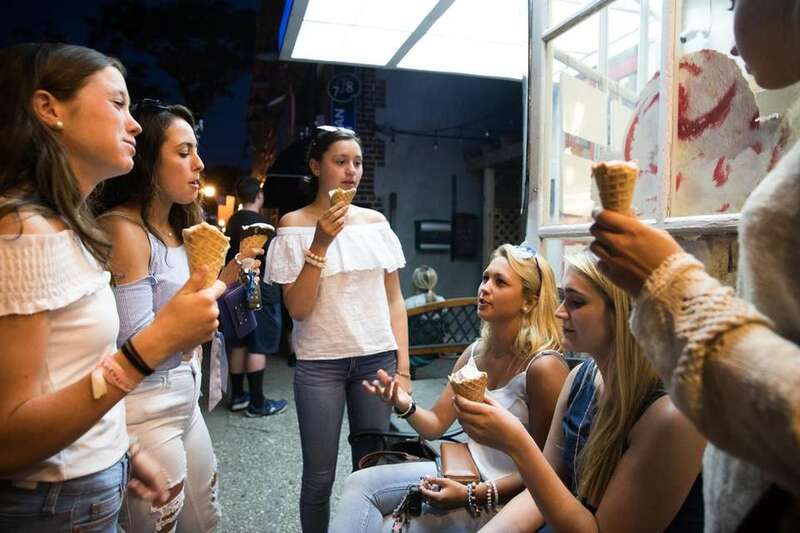 Recent high school graduates Shannon Boyle, Melissa Capri, Laura DiPippa, Danielle McCabe, Juliette Carman and Carolyn McPharlin enjoy ice cream outside of Lics in Northport, on Wednesday, June 21, 2017. 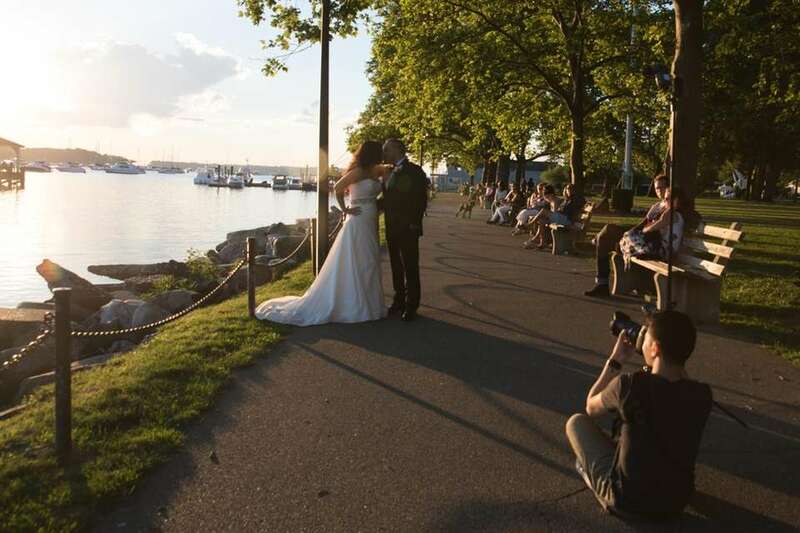 Stephanie Zeledon and Alex Zeledon pose during their wedding portraits for Anthony Mallari in Northport, on Wednesday, June 21, 2017. 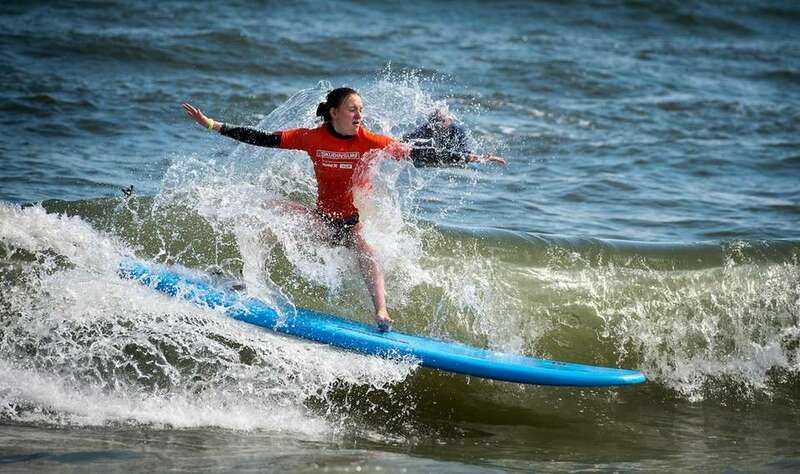 Melissa Skolkin of Long Beach surfs for the first time on Surf Day in Long Beach, on Wednesday, June 21, 2017. 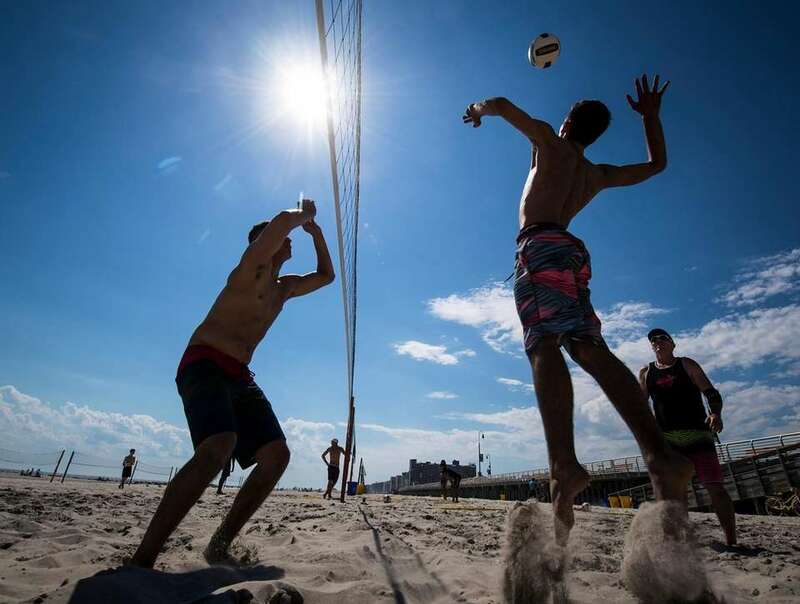 Beachgoers play volleyball in Long Beach, on Wednesday, June 21, 2017. 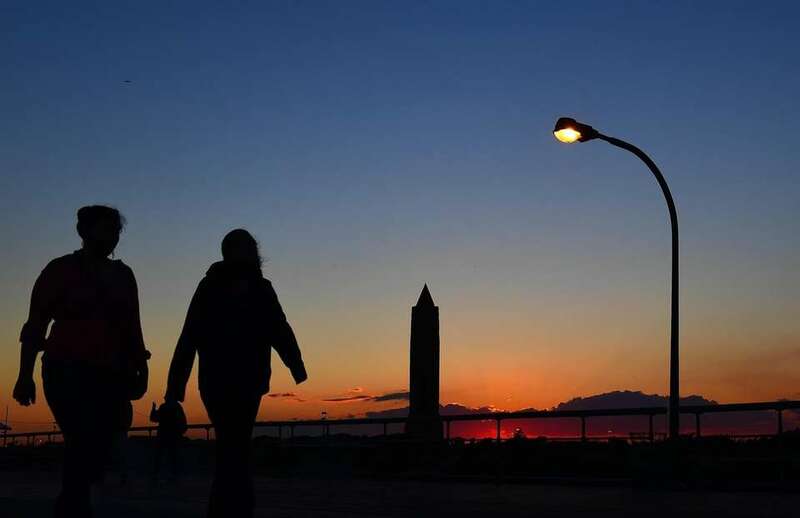 People walk along the Jones Beach boardwalk as the sun sets behind the Jones Beach water tower, on Wednesday, June 21, 2017. 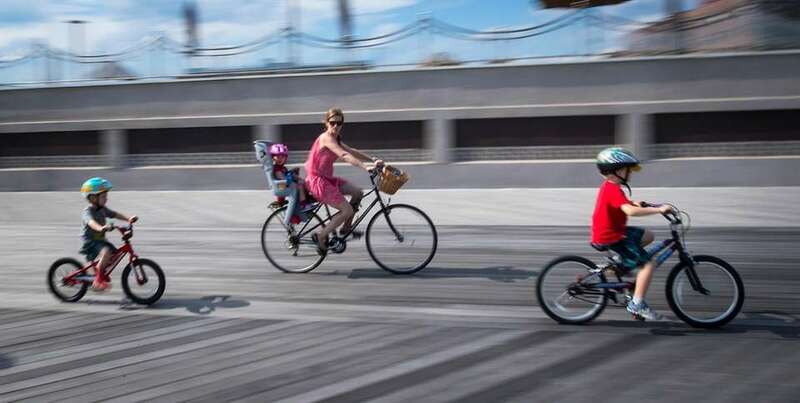 A family rides along the boardwalk in Long Beach on Wednesday, June 21, 2017. The sun sets behind the Jones Beach tower on Wednesday, June 21, 2017. 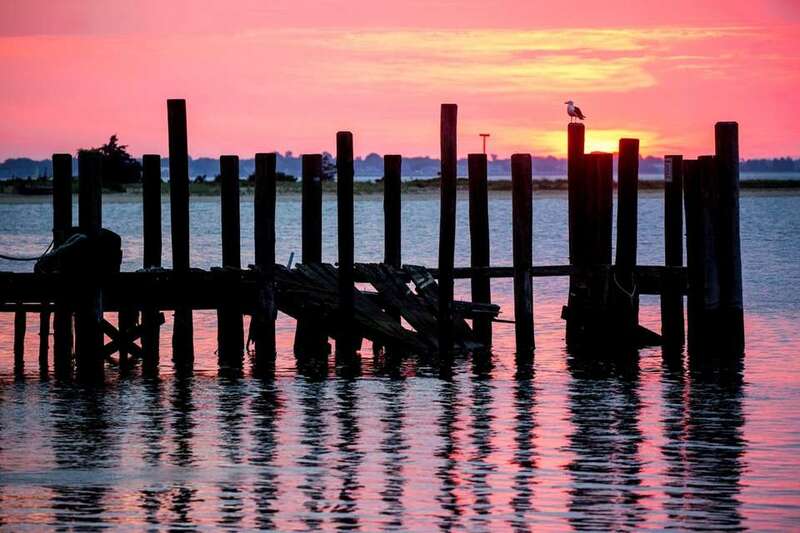 The sun sets behind Robert Moses Causeway at Robert Moses State Park, on Wednesday, June 21, 2017. 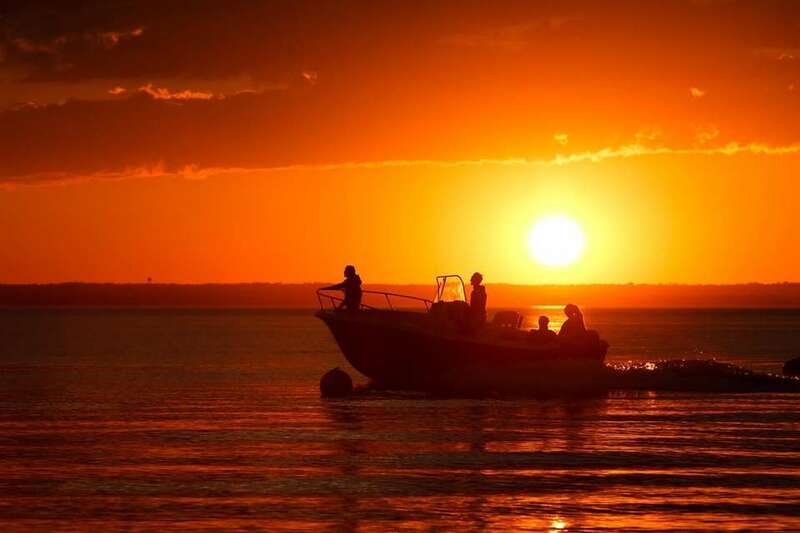 Boaters cross paths with the sunset near Soundside Beach in Bayville, on Wednesday, June 21, 2017. 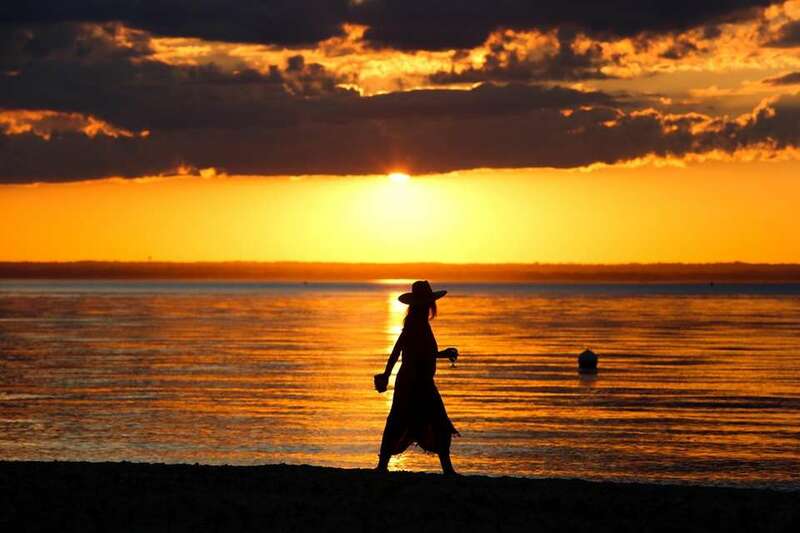 Marjorie Marshall of Bayville walks along Soundside Beach in Bayville as the sun sets on Wednesday, June 21, 2017. 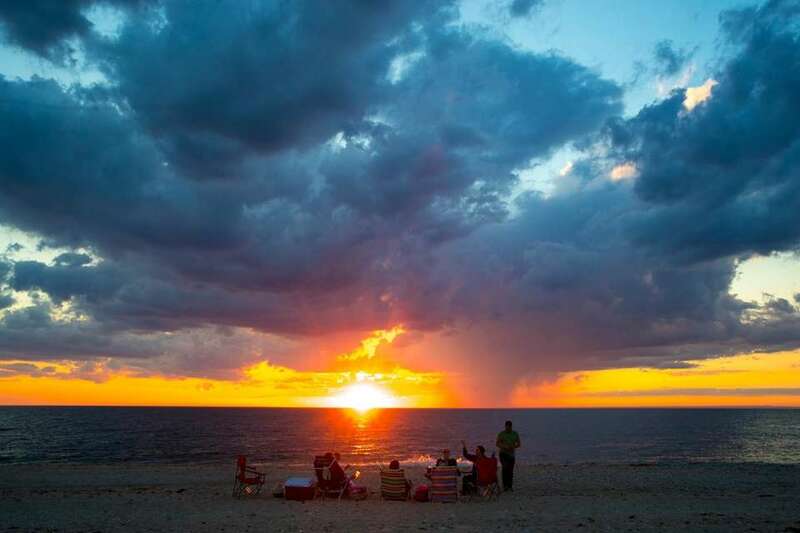 People watch as the sun sets at Kenny's Beach in Southold, Wednesday, June 21, 2017. 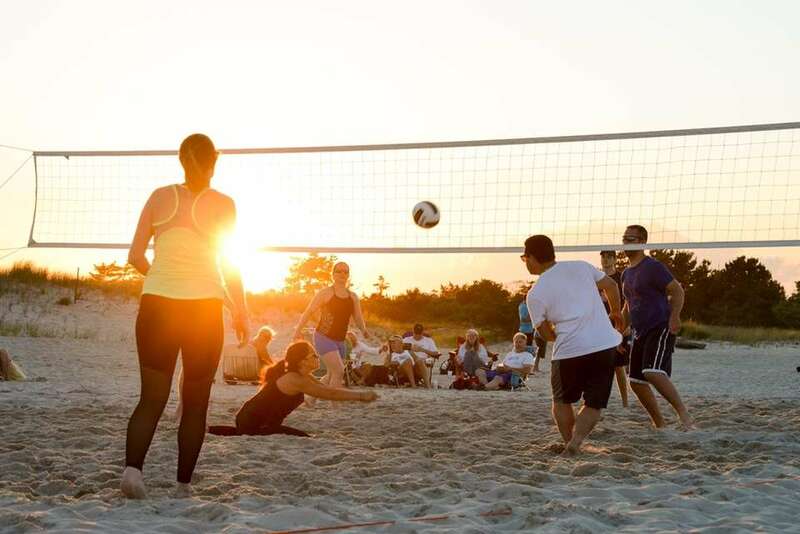 People play volleyball on the sand at Cedar Beach, Wednesday, June 21, 2017. 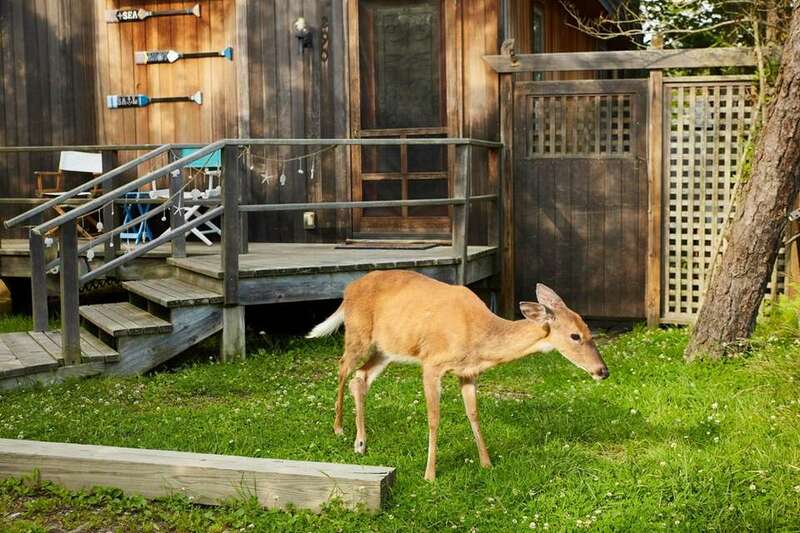 A deer grazes outside a beach house in Ocean Beach, Fire Island, Wednesday, June 21, 2017. A rainbow graces the track as horses return following the ninth race at Belmont Park Wednesday, June 21, 2017. 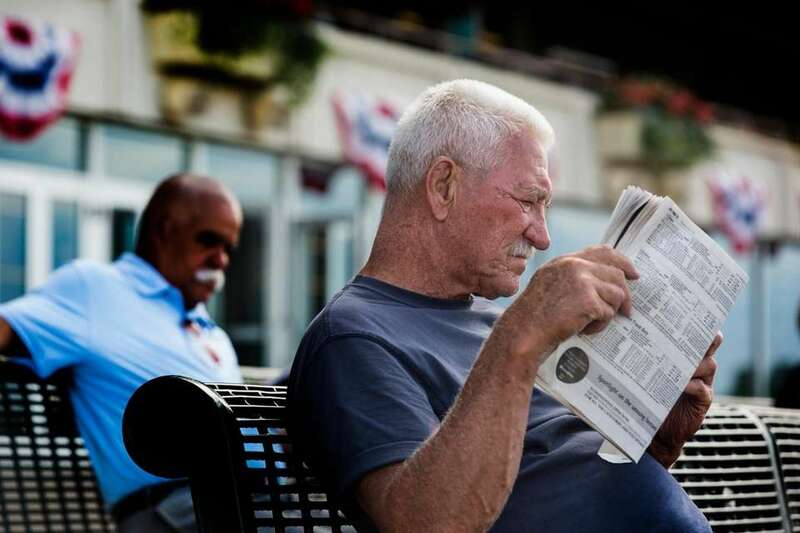 Richard Heller, right, of Elmont, enjoys an afternoon at the racetrack at Belmont Park, June 21, 2017. 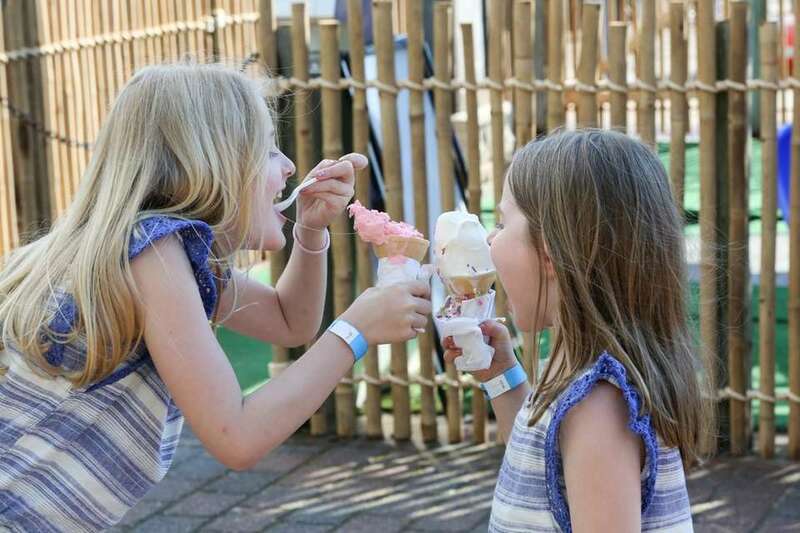 Sisters Scarlett, 8, left, and Harper Rueger, 6, of New York City, share their ice cream cones during the Glen Cove Boys & Girls Club's sixth annual Family Fun Day at the Bayville Adventure Park, Wednesday, June 21, 2017. The Cub Scout Pack 283 from East Meadow holds their end of the year BBQ in Eisenhower Park with Cub Master, Charlie Coronel at the grill, Wednesday, June 21, 2017. Sag Harbor Whalers batboy Dominick Mancino, 11, watches a game against the Riverhead Tomcats at Mashashimuet Park in Sag Harbor, Wednesday, June 21, 2017. Members of the Phenom team, part of the Boys of Summer league, warms up before playing the Seminoles in Eisenhower Park, Wednesday, June 21, 2017. 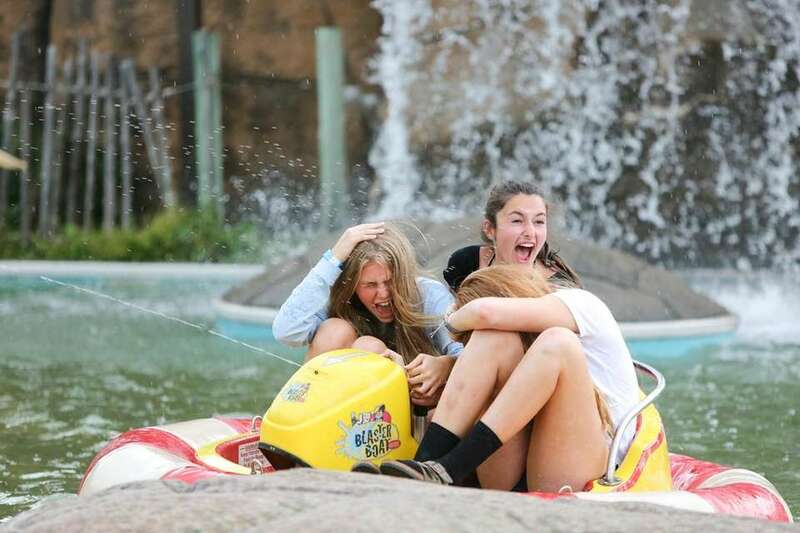 Caelan del Grosso, 14, of Long Beach, left, Gabi Bernstein, 14, of Sands Point, center, and Olivia Mooney, of Oyster Bay, 14, are splashed with water on the bumper boats at Bayville Adventure Park, Wednesday, June 21, 2017. Members of the community attend a donation-based yoga class hosted by Simplicity Yoga at Sunken Meadow State Park Wednesday, June 21, 2017. 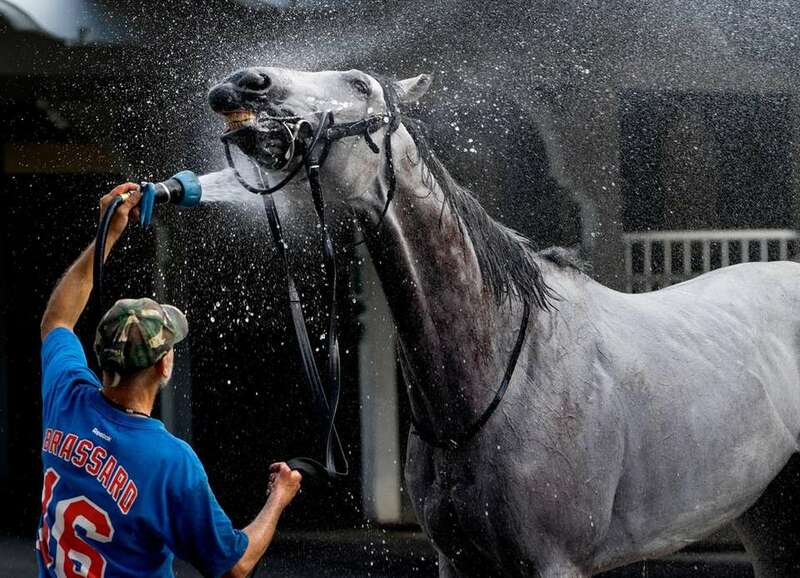 A horse from the ninth race at Belmont Park gets a cool down Wednesday, June 21, 2017. 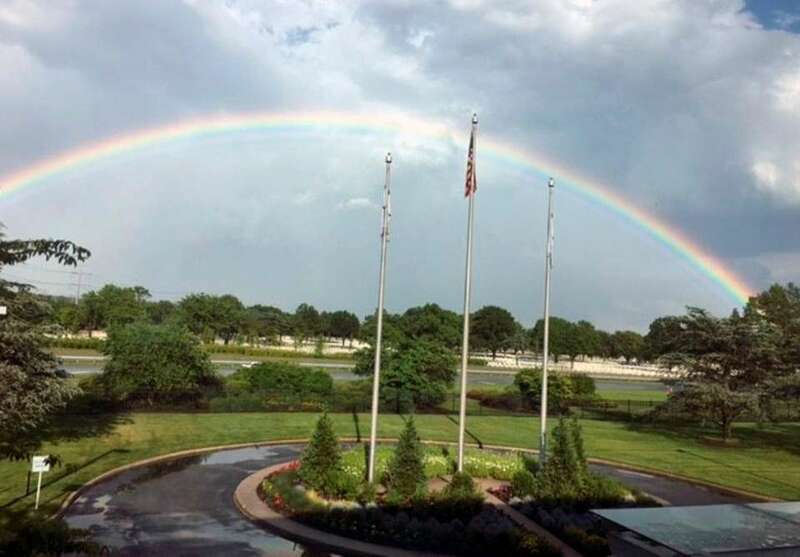 A rainbow in Melville, as seen from the Newsday offices overlooking Pinelawn Road, Wednesday, June 21, 2017. 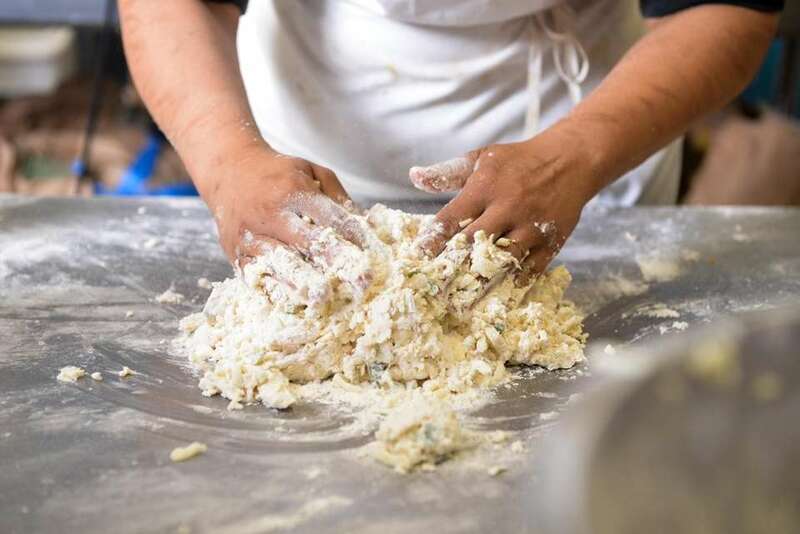 Ernie Fazio picks up his order of New England calm chowder from Rowan Engelhardt at The Shack in Centerport, Wednesday, June 21, 2017. 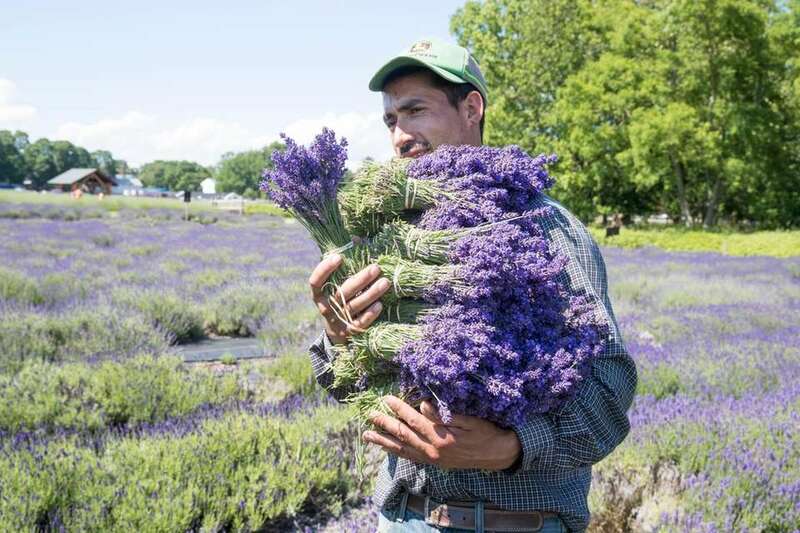 A worker harvests lavender at Lavender by the Bay in East Marion, Wednesday, June 21, 2017. 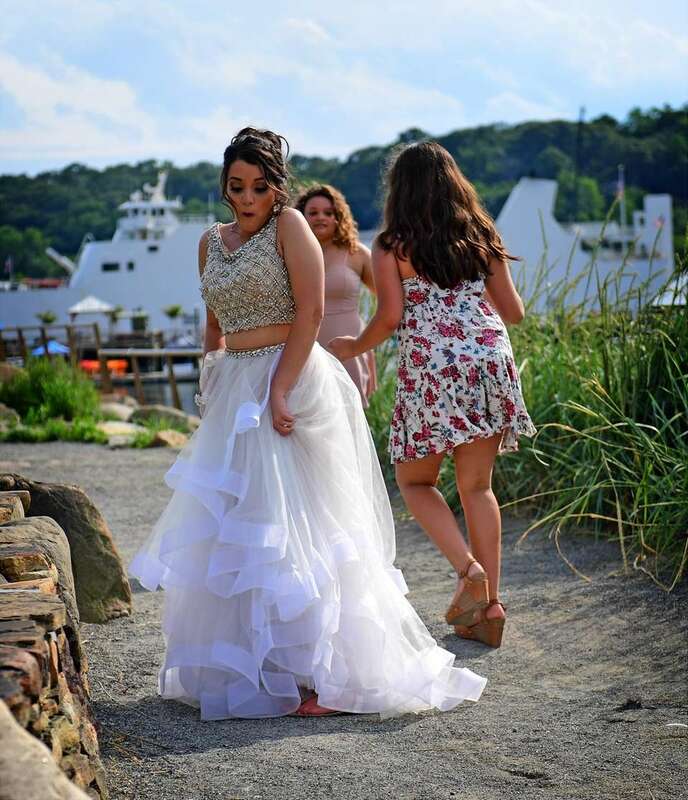 Josilyn Calderon 17, left, a senior at Connetquot High School reacts to a bee as she has photos taken before her prom, with her sisters, Mia Mattera, 12, center and Alyssa Calderon,12, right, at Harborfront Park in Port Jefferson, Wednesday, June 21, 2017. 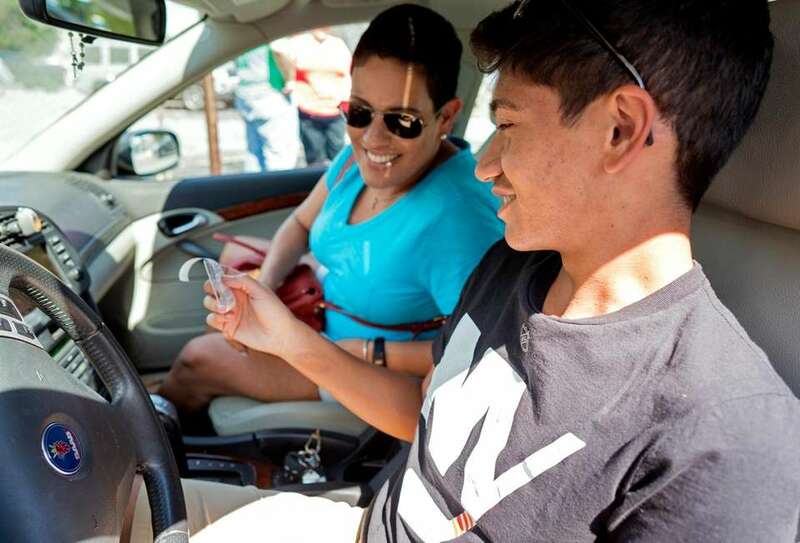 Jason De Sousa, 18, of Mineola, shares his happiness with his mother, Lysette De Sousa, after passing his road test for a full license at the Garden City Park DMV test site Wednesday, June 21, 2017. 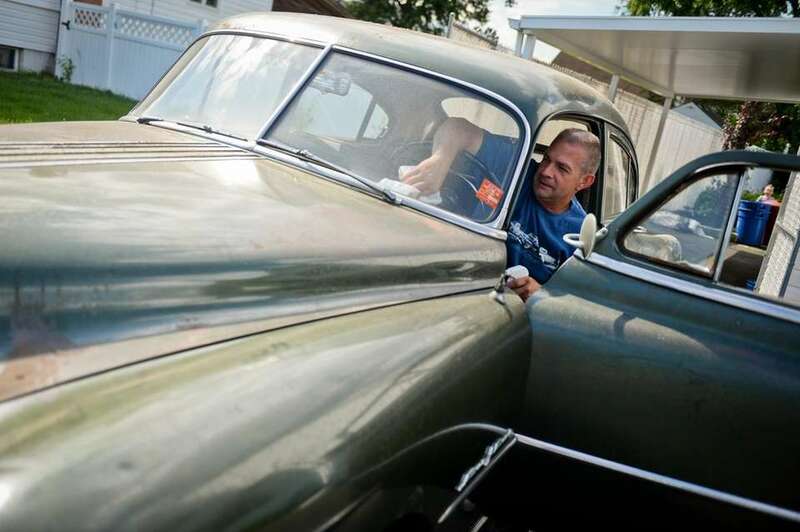 In his driveway, Ken Leis, of West Babylon, cleans the inside of his 1949 Pontiac, originally purchased by his father, Wednesday, June 21, 2017. Rushane Murray and his mom, Kemesha Murray, visit the coral reef exhibit at the Long Island Aquarium in Riverhead to celebrate his 10th birthday on Wednesday, June 21, 2017. Trainer Caroline Walsh gets a kiss from Java the sea lion at the Long Island Aquarium in Riverhead, Wednesday, June 21, 2017. 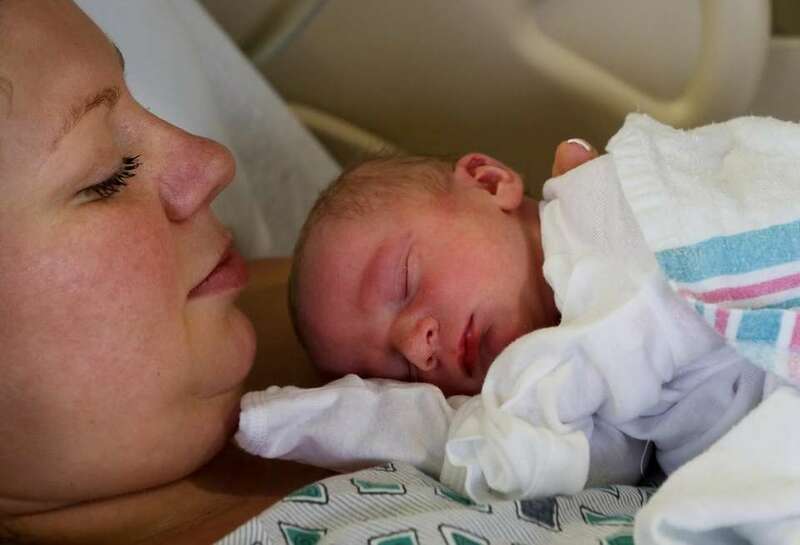 Agnieszka Kulagowski, of Lindenhurst, with her newborn baby, Thomas, born at 8:12 a.m at Good Samaritan Hospital Medical Center in West Islip, Wednesday, June 21, 2017. 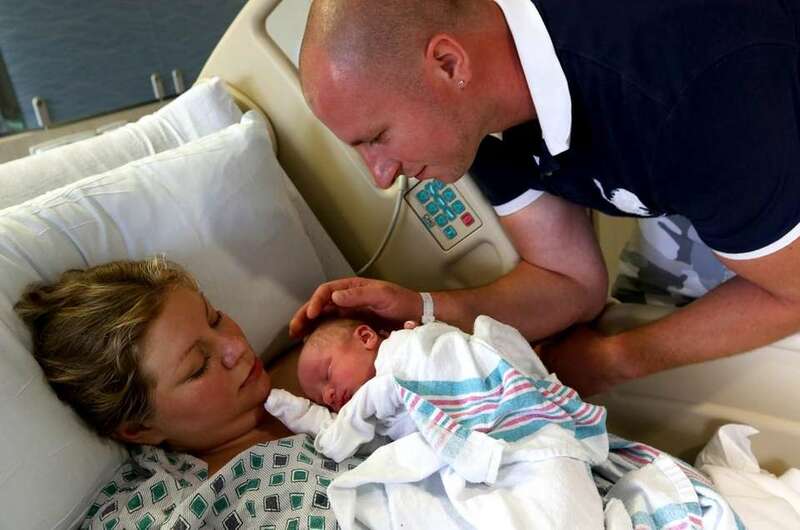 Agnieszka Kulagowski, and husband, Paul, from Lindenhurst, with their newborn baby, Thomas, at Good Samaritan Hospital Medical Center in West Islip, Wednesday, June 21, 2017. 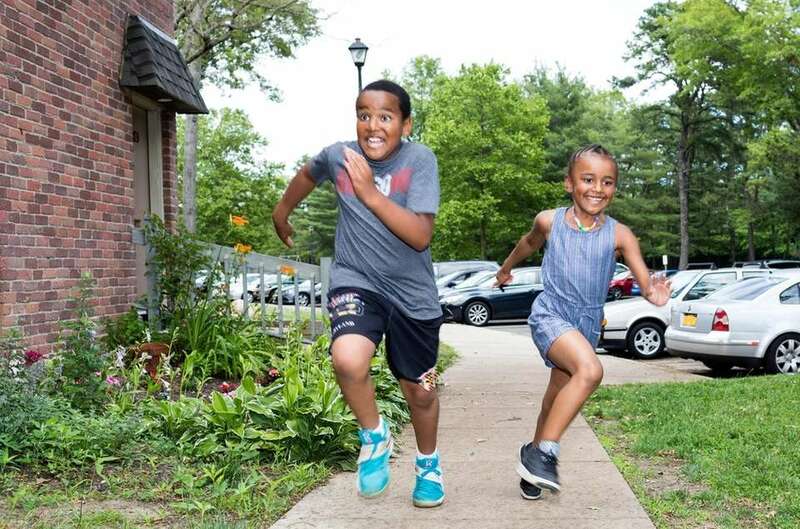 Demarkus Fluitt, 10, and his sister, Deija, 7, race each other, June 21, 2017, at 1:30 p.m., at the Oakwood Apartments in Coram. 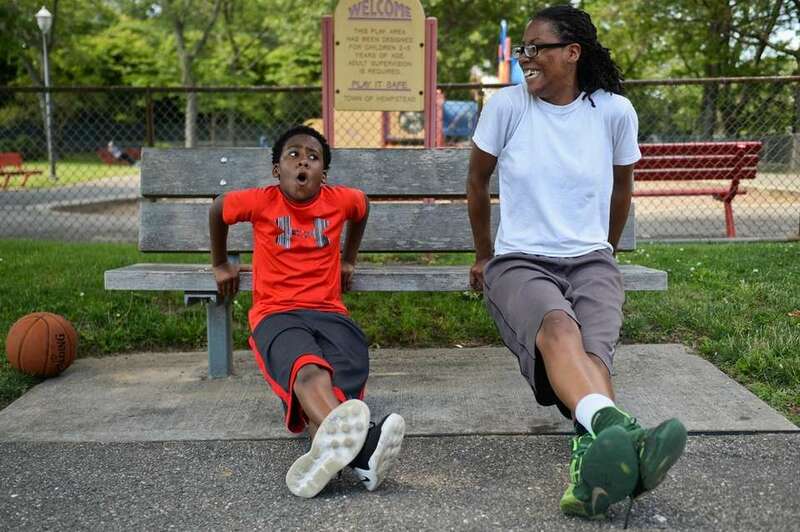 Samantha Corbitt, right, of Roosevelt, shows Ja'Mere Johnson, 8, of Roosevelt, how to perform a chair dip exercise while at Coes Neck Park, in Baldwin at 3pm on Wednesday, June 21, 2017. Tattoo artist Joe Friedman works on Elizabeth DeMaio's full-sleeve, ocean-themed tattoo at the Black Sails Studio in Sayville at 2:36 p.m. on Wednesday, June 21, 2017. Elliott Sirico, 7, from Southold, left and his brother Luca, 9, race on the beach at 1:20 p.m. at Founders Landing Beach in Southold on Wednesday, June 21, 2017. Sean Crowley, a physical education teacher at Sag Harbor Elementary School, is doused with water at 12:44 p.m. after passing through a line of students following his final field day as a teacher, in Sag Harbor, Wednesday, June 21, 2017. 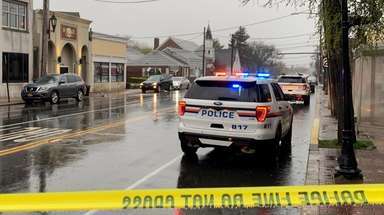 Crowley is retiring after 30 years in the district. 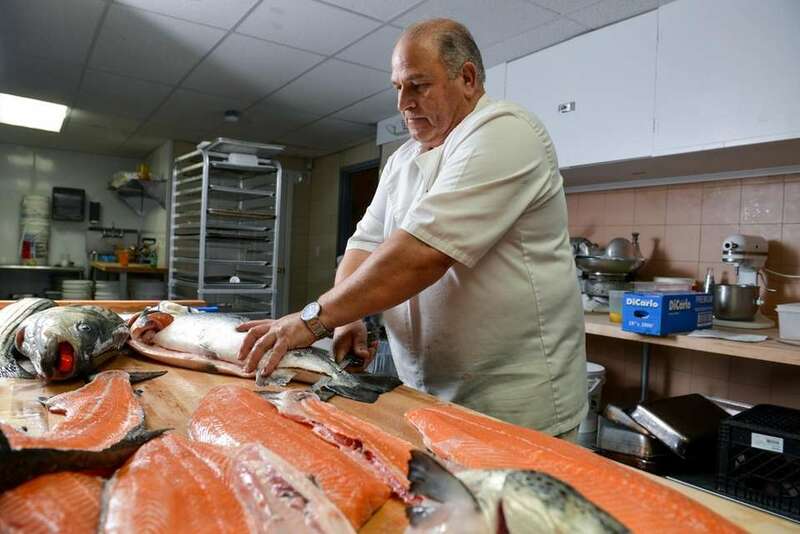 Chef Spiro Karachopan fillets whole salmon and striped bass in the kitchen of Spiro's Restaurant and Lounge in Rocky Point at 11:35 a.m. on Wednesday, June 21, 2017. 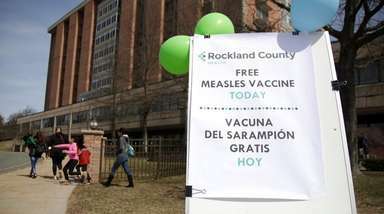 Brianna Michel, left, and Nalini Krishnan of Commack stroll the beach at 9:15 a.m. at Robert Moses State Park on Wednesday, June 21, 2017. 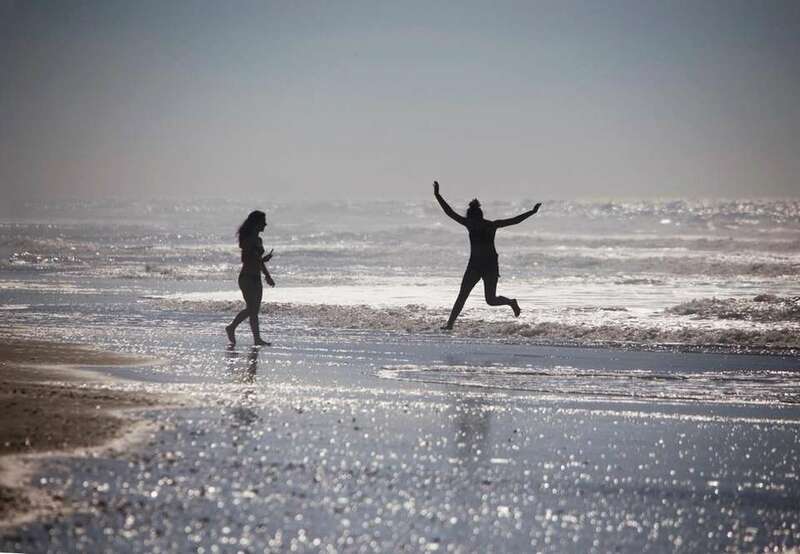 Brianna Michel, left, and Nalini Krishnan, of Commack, stroll the beach at 9:15 a.m. at Robert Moses State Park on June 21, 2017. 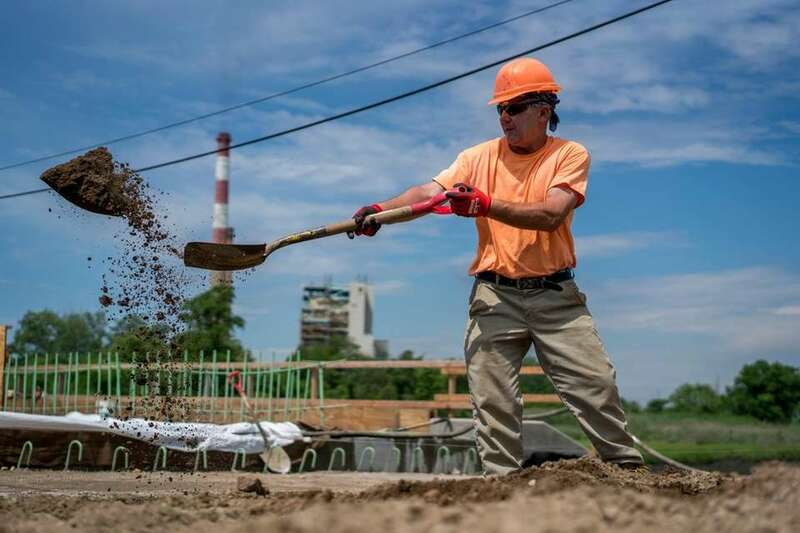 Grace Industries construction workers labor over the Barnum Bridge in Island Park at 11:07 a.m., readying for summer on Long Island during the longest day of the year, the summer solstice, on Wednesday, June 21, 2017. 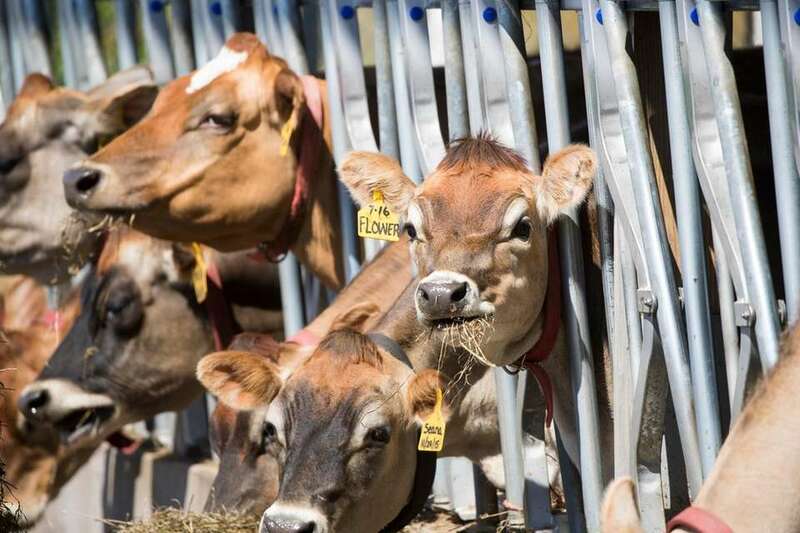 Cows graze at 9:50 a.m. at Ty Llwyd Farm in Northville on Wednesday, June 21, 2017. 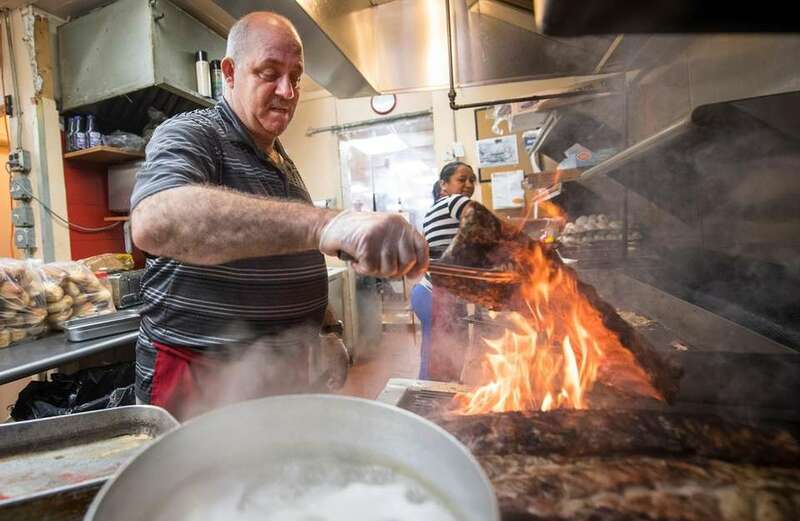 Owner Michael Ayoub cooks ribs at 8:22 a.m. for lunch at Soprano's Deli, Bagel & Caterers in Merrick on June 21, 2017. 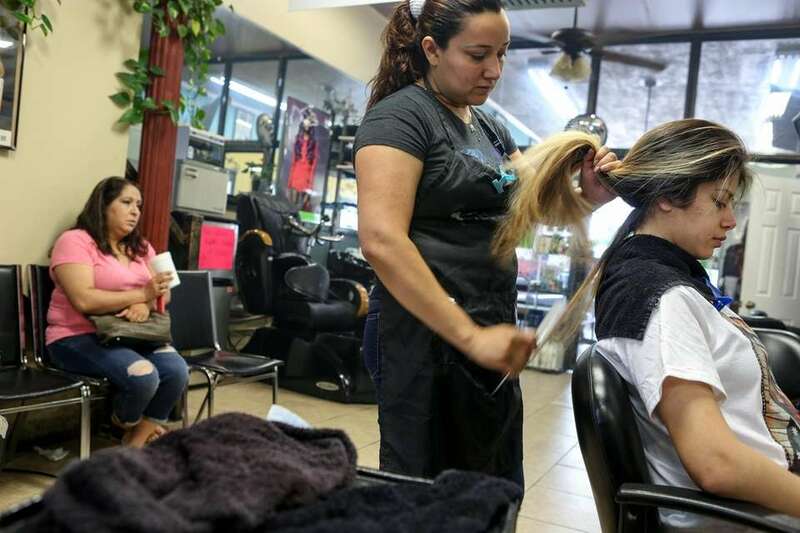 At 10:15 a.m., Carmen Bonilla, 20, from Roosevelt, gets her hair straightened by Clairabel Berrios at Julio's Unisex Salon, at 25 Franklin St. in Hempstead, before her brother-in-law's graduation on Wednesday, June 21, 2017. 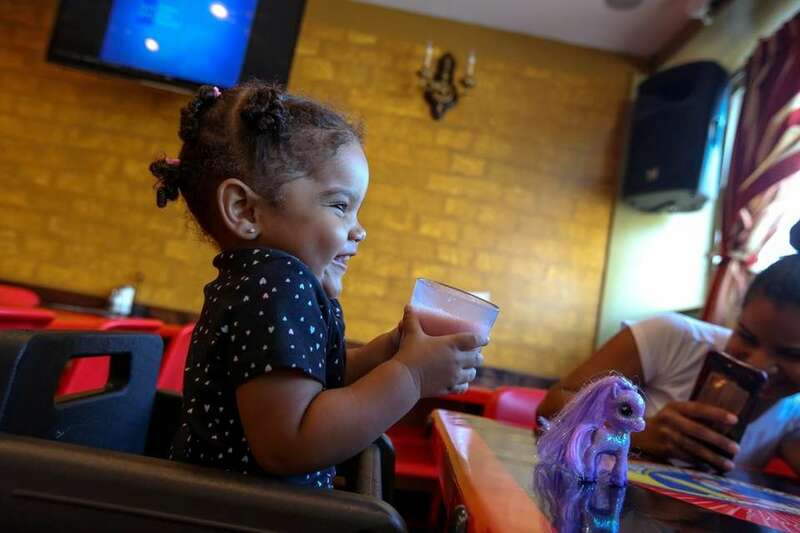 Nashley Hernandez, 1, drinks a cup of passion fruit juice at Las Arepas de Mama in Hempstead on Wednesday, June 21, 2017. 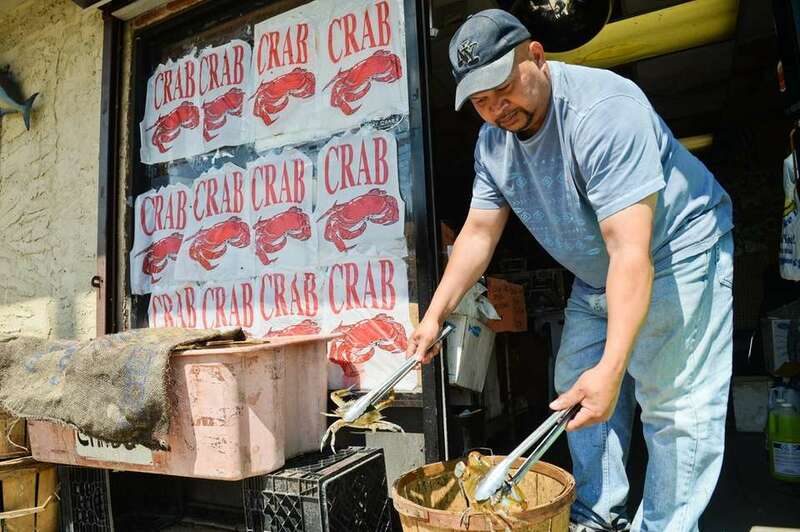 Jeff Garrett handles locally caught blue claw crabs at his seafood market The Crab Shack in West Babylon on Wednesday, June 21, 2017. 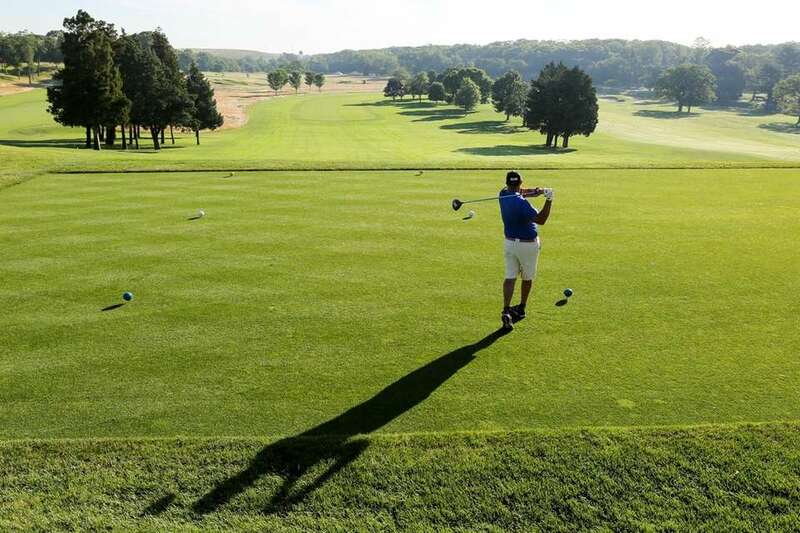 Danny Torres of East Norwich tees off on the Black Course at Bethpage State Park in Farmingdale on Wednesday morning, June 21, 2017. 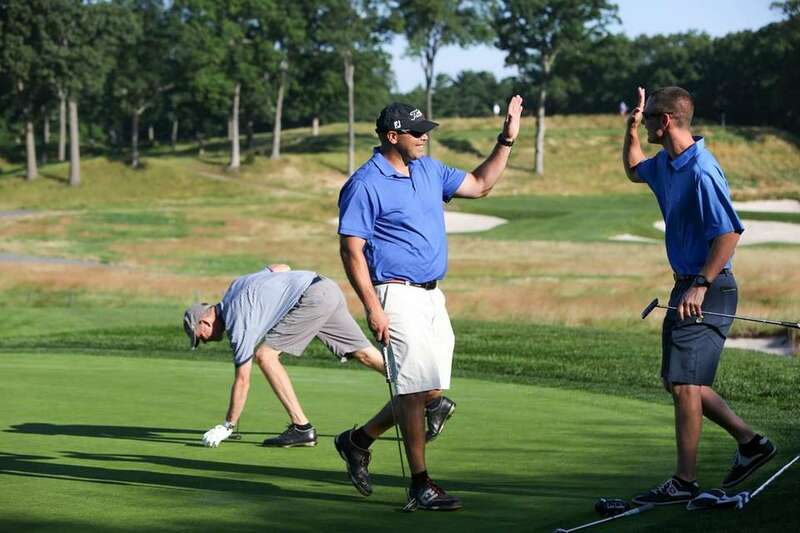 Danny Torres of East Norwich, left, high fives his friend, Craig Bezmen of East Norwich, after Danny sunk a putt on the first hole of the Black Course at Bethpage State Park in Farmingdale Wednesday morning, June 21, 2017. 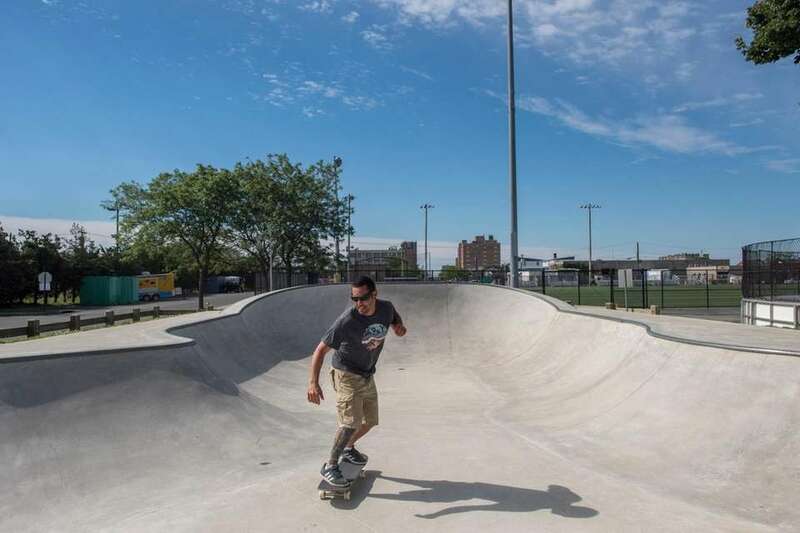 John Connelly, of Long Beach, hits the Long Beach skatepark on his day off Wednesday, June 21, 2017. 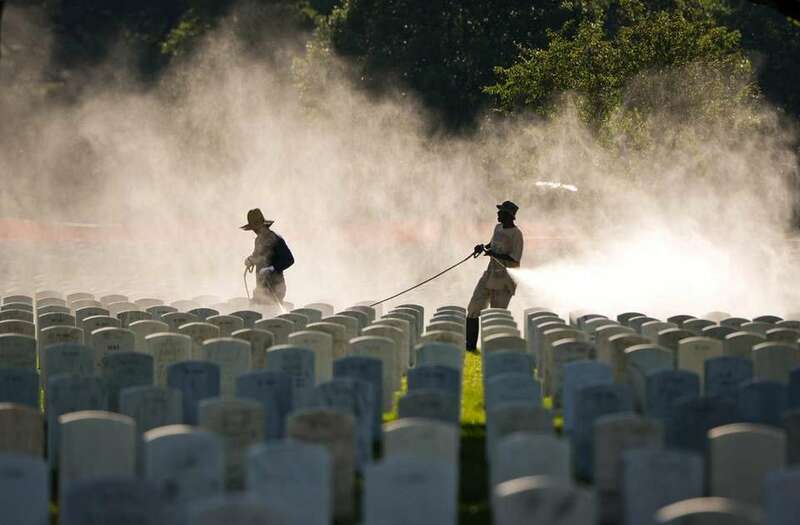 Maintenance workers at Long Island National Cemetery, Pinelawn, power wash head stones on Wednesday, June 21, 2017. 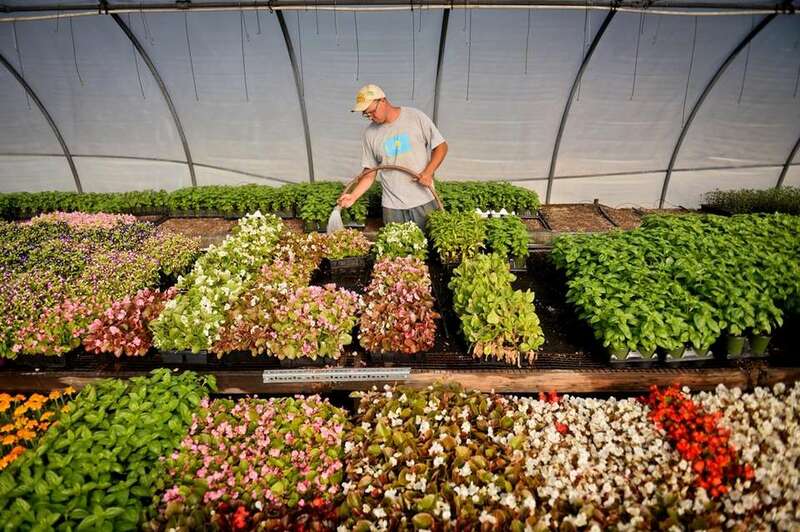 Third-generation greenhouse farmer Alex Reckner waters plants being readied for lawn and garden centers at his family farm in Melville Wednesday morning, June 21, 2017. 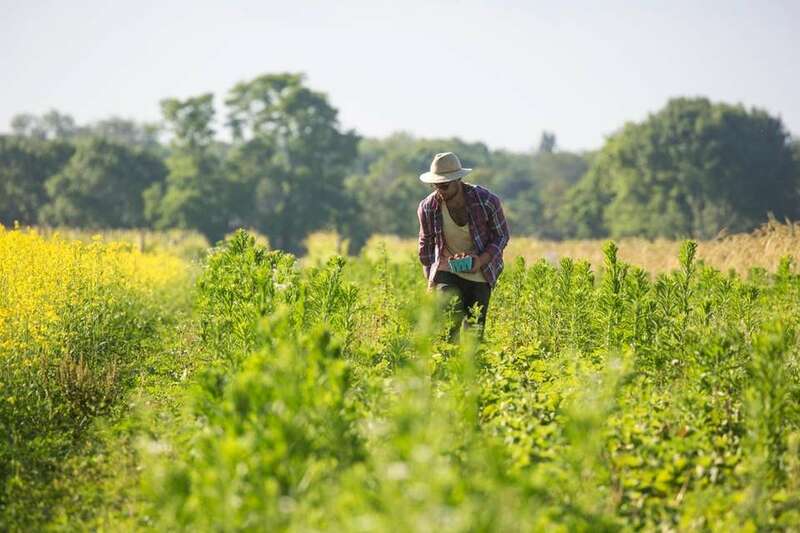 Abe Korman, a farm hand at Surrey Lane Vineyard Orchard Farm in Southold, harvests strawberries Wednesday morning, June 21, 2017. 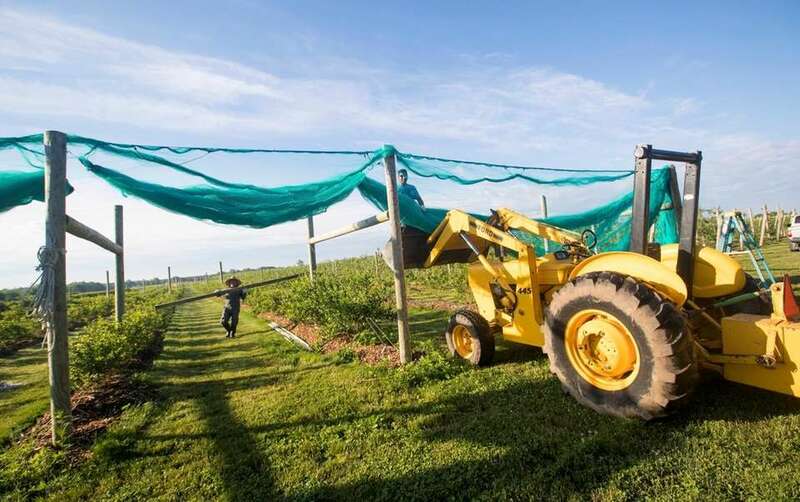 A worker adds netting to protect the blueberries at Surrey Lane Vineyard Orchard Farm in Southold on Wednesday, June 21, 2017. 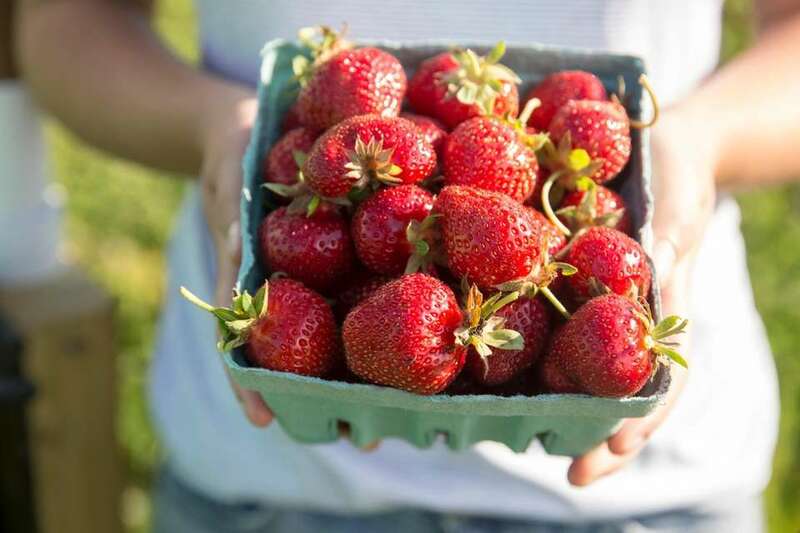 A freshly picked pint of strawberries at Surrey Lane Vineyard Orchard Farm in Southold Wednesday morning, June 21, 2017. A morning beachcomber hunts for hidden treasure at Robert Moses State Park in Babylon on Wednesday, June 21, 2017. 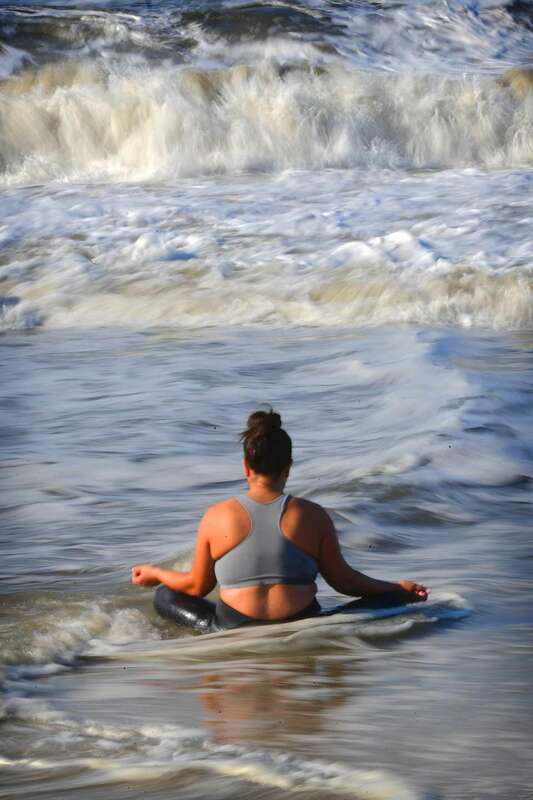 Natalia Johnson of Central Islip starts her morning with beach yoga at Robert Moses State Park in Babylon on Wednesday, June 21, 2017. 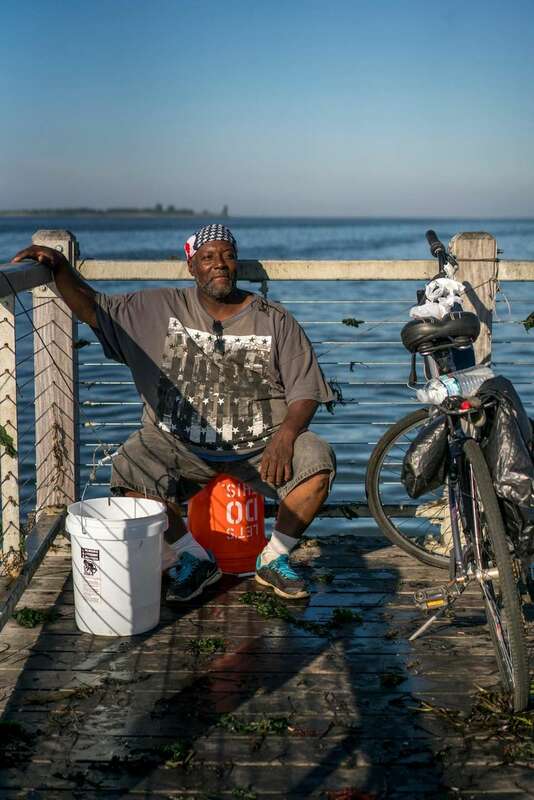 Tony Darden of Amityville kicks off his summer with some early morning fishing at Tanner Park in Copiague on Wednesday, June 21, 2017. 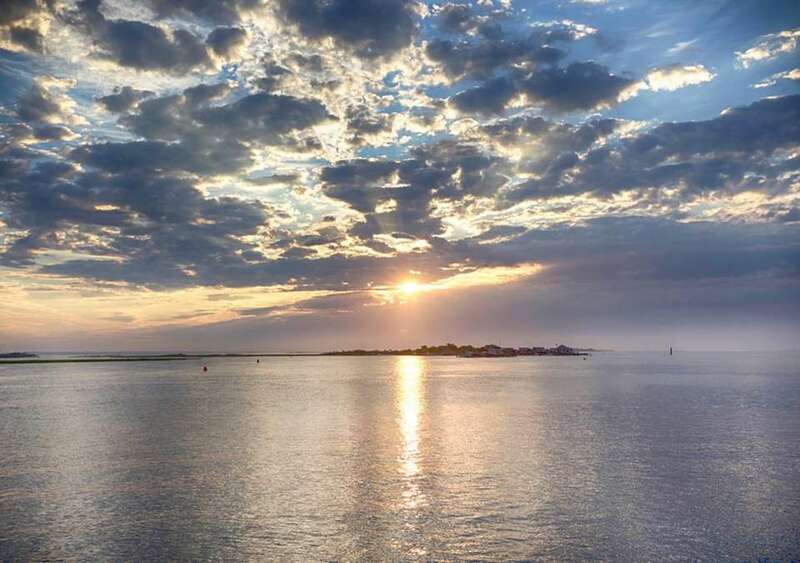 The sun rises at Captree State Park in Babylon on Wednesday, June 21, 2017. 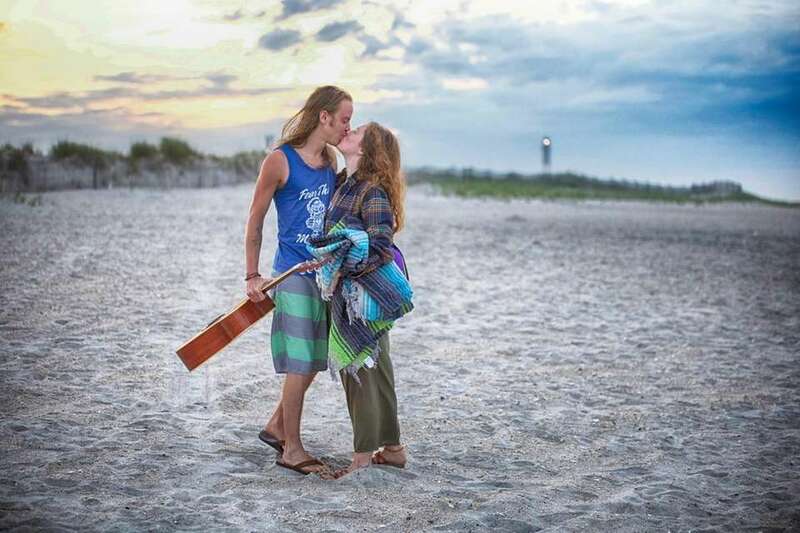 Danny Warrick and Madeleine Santoro celebrate the summer soltice at Robert Moses State Park in Babylon on Wednesday, June 21, 2017. 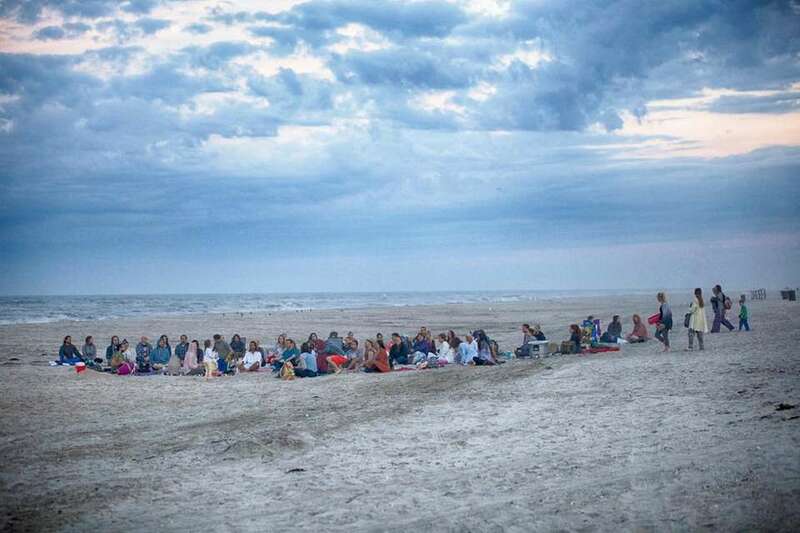 A group from Funky OM Yoga and Wellness chant for the summer soltice at Robert Moses State Park in Babylon on Wednesday, June 21, 2017. 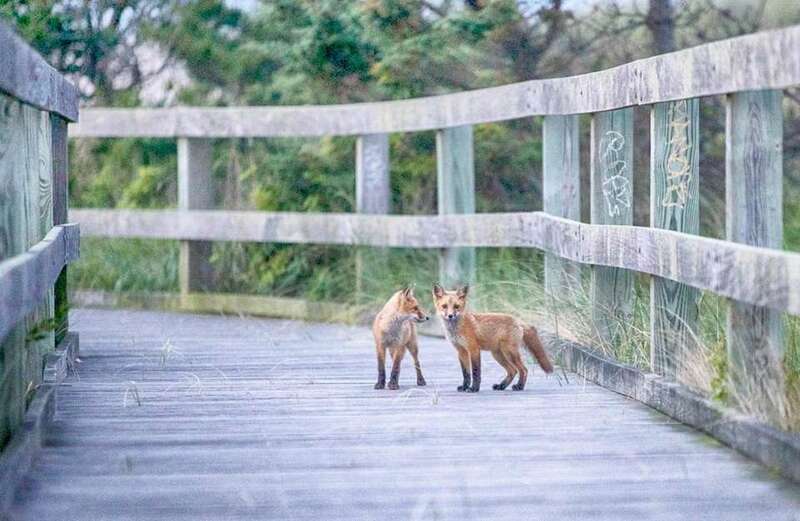 A pair of foxes at Robert Moses State Park in Babylon on Wednesday, June 21, 2017. 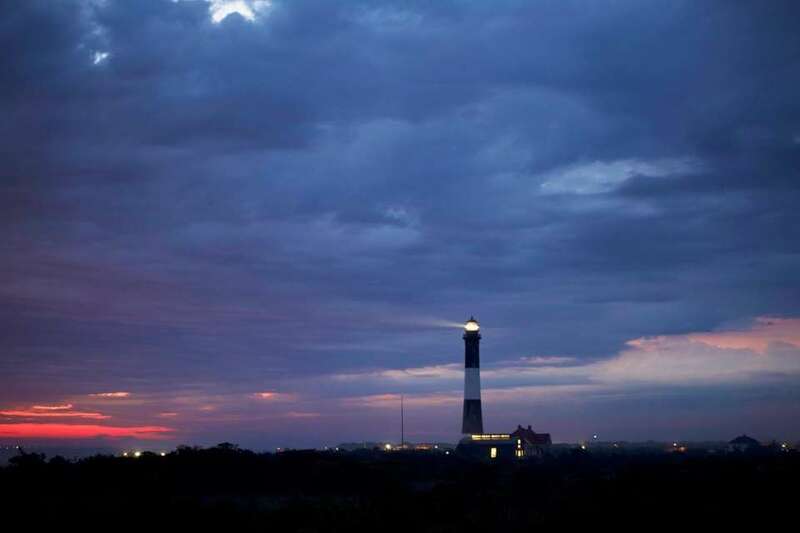 The sun rises at the Fire Island Lighthouse on Wednesday, June 21, 2017. The suns rises in Greenport Harbor on Wednesday, June 21, 2017. 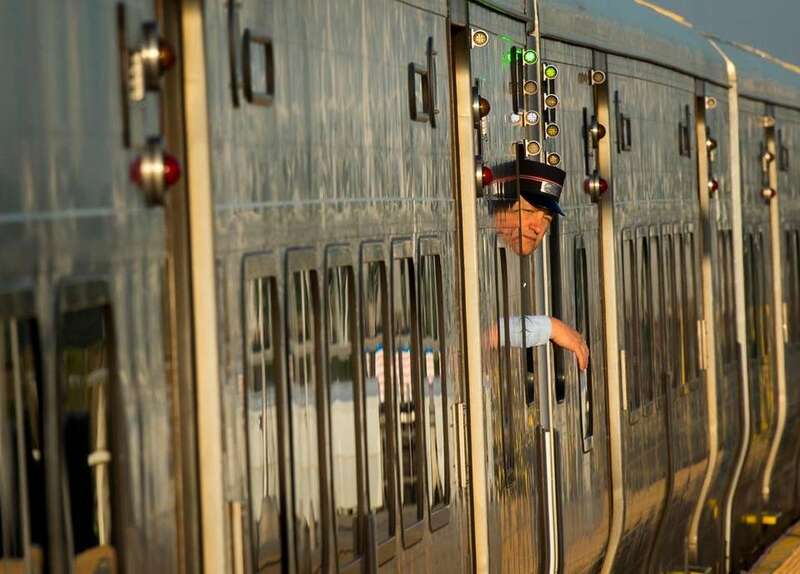 A conductor peers out of a train at the Freeport LIRR station at 6:29am on the first day of summer and the longest day of the year, June 21, 2017. 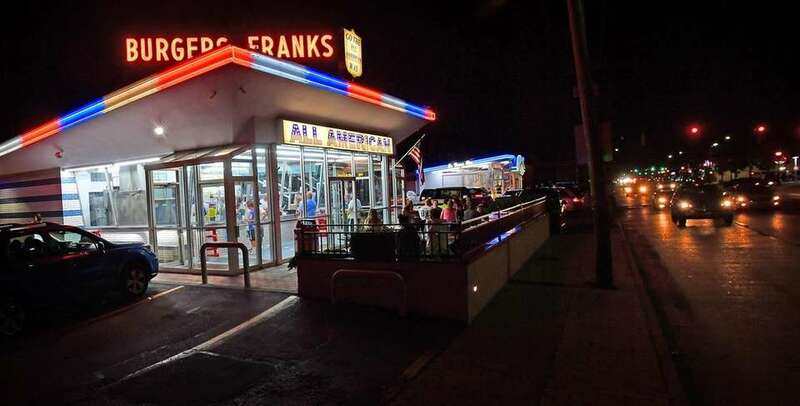 Commuters at the Long Island Rail Road station in Freeport wait for a train at 5:42 a.m. Wednesday, June 21, 2017. 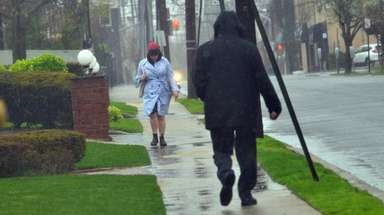 Commuters at the Freeport LIRR station at 7:29am on the first day of summer and the longest day of the year, June 21, 2017. 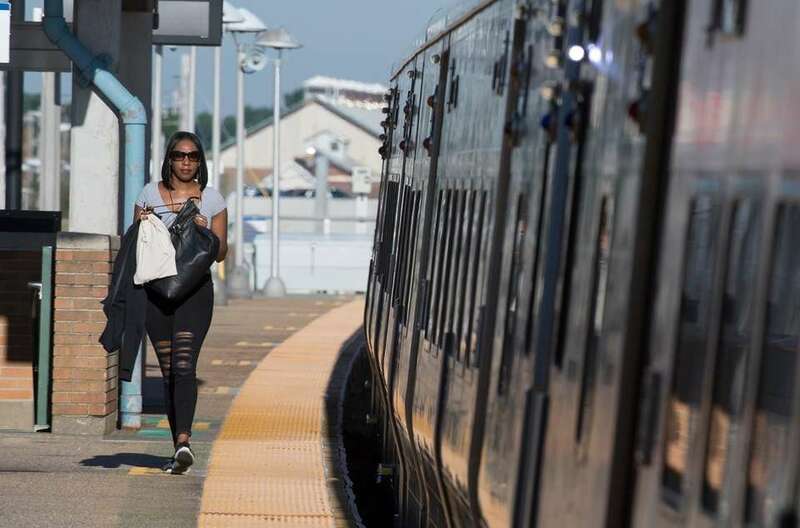 A commuter boards a westbound train at the Freeport LIRR station at 7:47am starting her day on the first day of summer and the longest day of the year June 21, 2017. 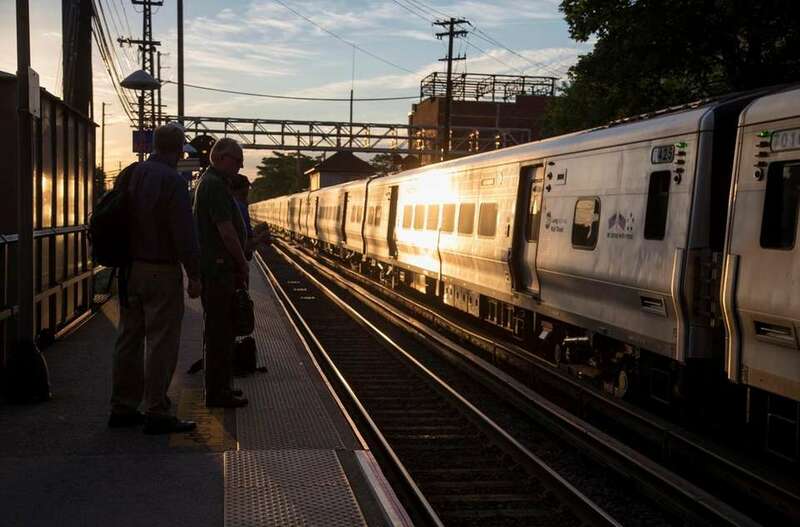 Commuters wait for a train as the sun rises at the Mineola LIRR station on Wednesday, June 21, 2017. 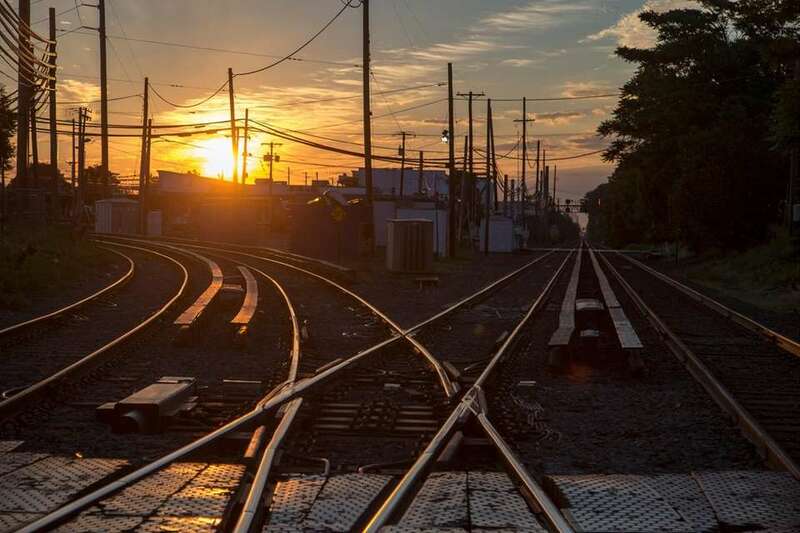 The sun rises at the Mineola LIRR station on June 21, 2017. 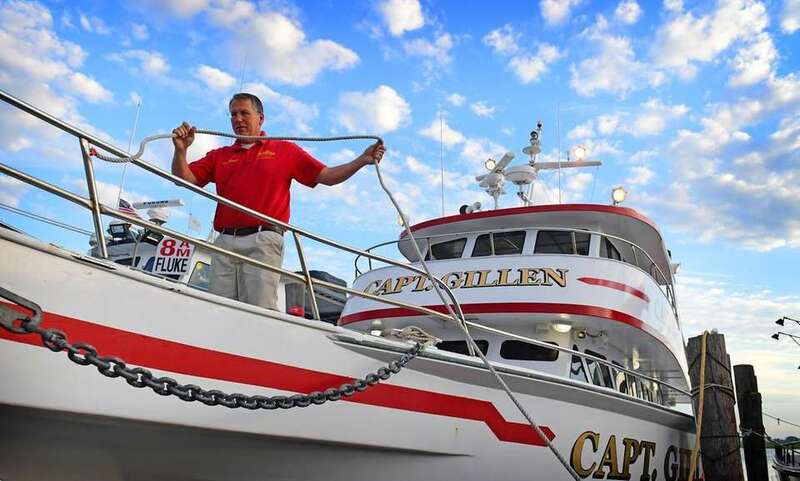 A fisherman boards the 82 foot fishing party boat, the Capt. Gillen, as it sails out of the Captree Boat Basin in search of fluke at 6:04 a.m. June 21, 2017. Capt. 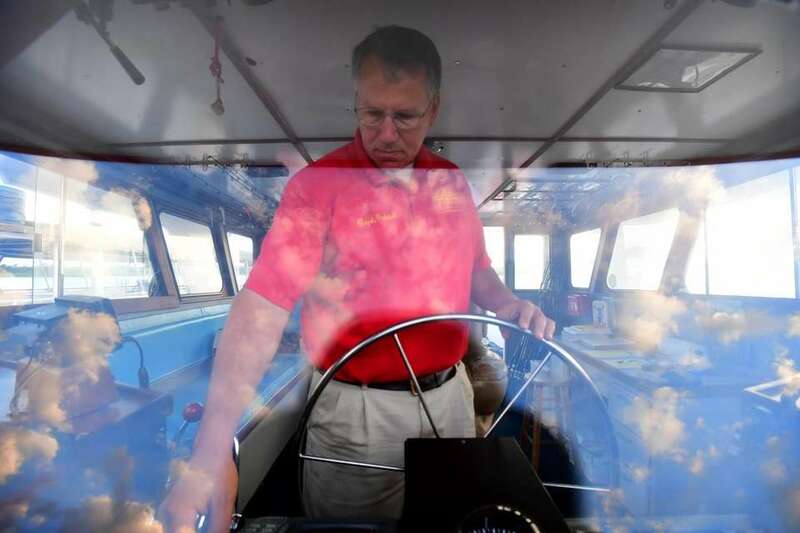 Patrick GIllen prepares to sail his 82-foot fishing party boat, the Capt. Gillen, in search of fluke at 5:52 a.m. June 21, 2017. 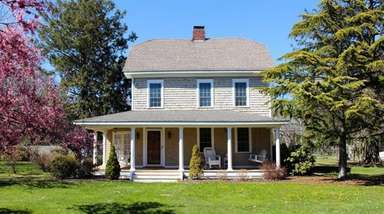 Gillen has been the skipper of the boat since 1991 and his family has operated out of this location in Captree since 1955. 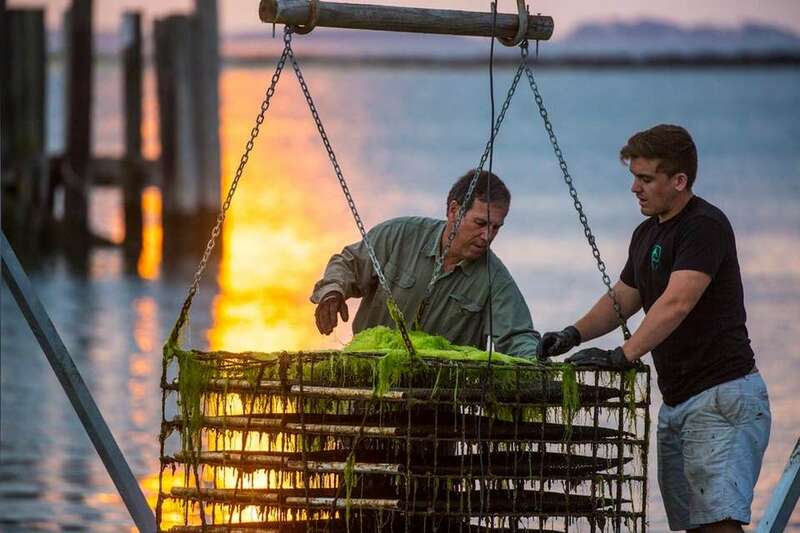 Ted Bucci, owner and manager of Harbor Light Oyster Co., pulls up cages of oysters in Greenport to check on harvesting and sorting along with his son Billy, 19, on Wednesday, June 21, 2017. 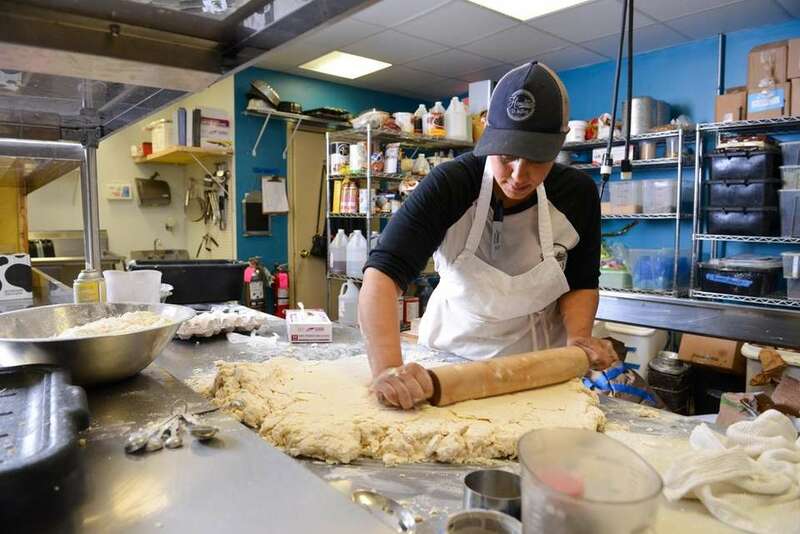 Baker Danna Abrams gets to work around 5 a.m. making muffins, scones and biscuits, rolling out dough for savory biscuits in the kitchen of Hometown Bake Shop in Centerport, June 21, 2017. 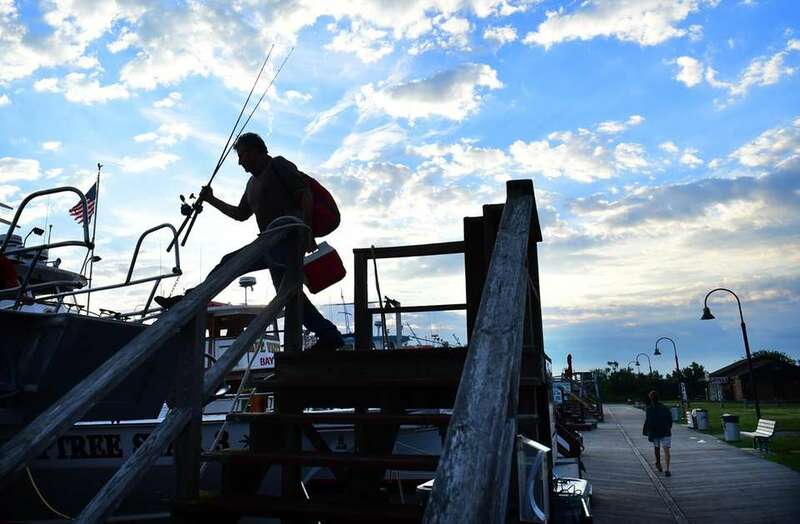 Fishing vessels arrive and depart the Montauk inlet on June, 21, 2017, the first day of summer, in Montauk. Sunrise at the Montauk Lighthouse in Montauk on June 21, 2017.